selected as the no. 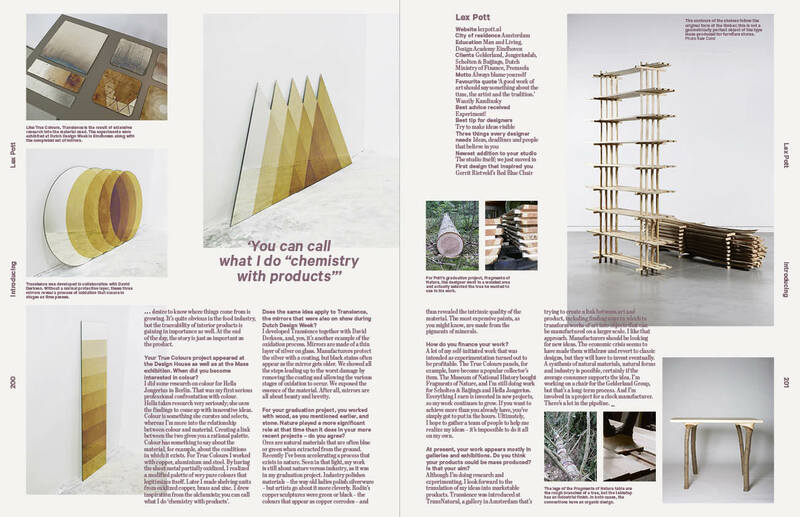 1 designtalent of 2015. 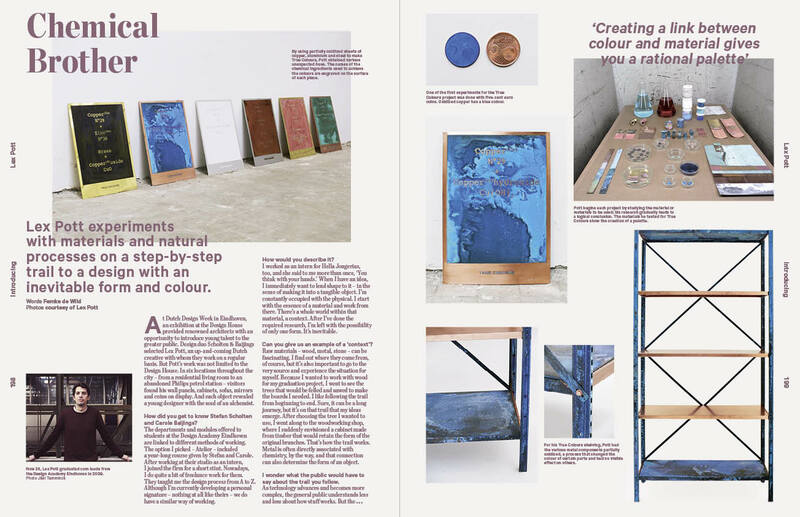 Article about the Diptych New Window project. 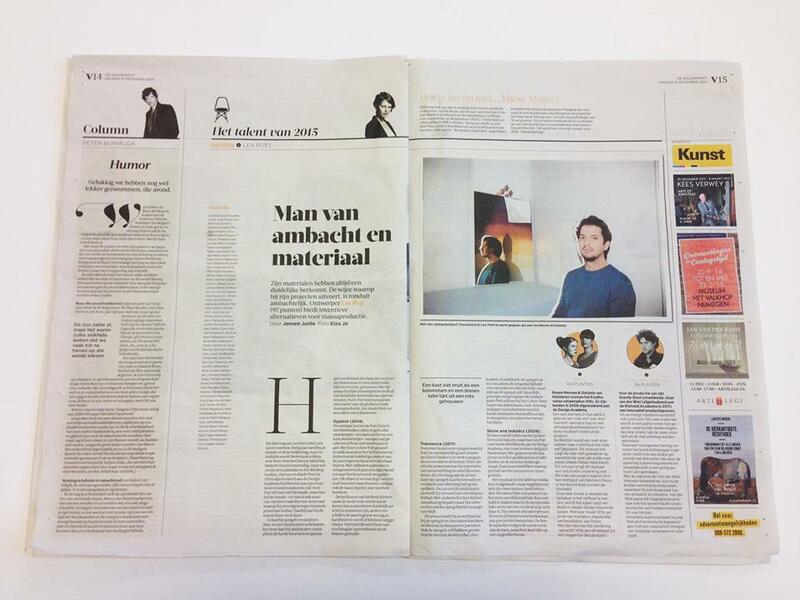 A jury selected Lex Pott for the second place as design talent of 2014. Interview about the Transience mirrors. Book curated by Dirk Schellberg. 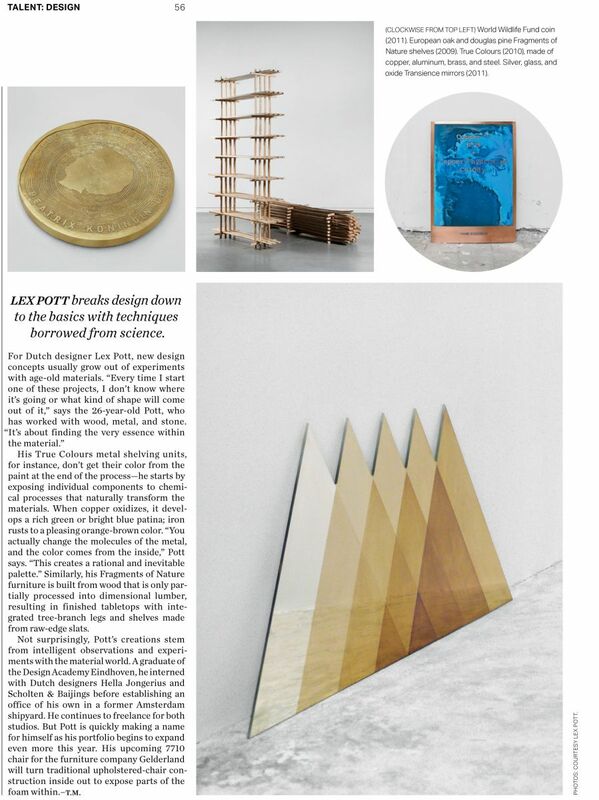 Article about the Fragments of Nature collection. Projects in the Endorsements section of the New York magazine Surface. Fragments of Nature table related to fashion.